Mtn. View Wyoming is a relatively new area for us. 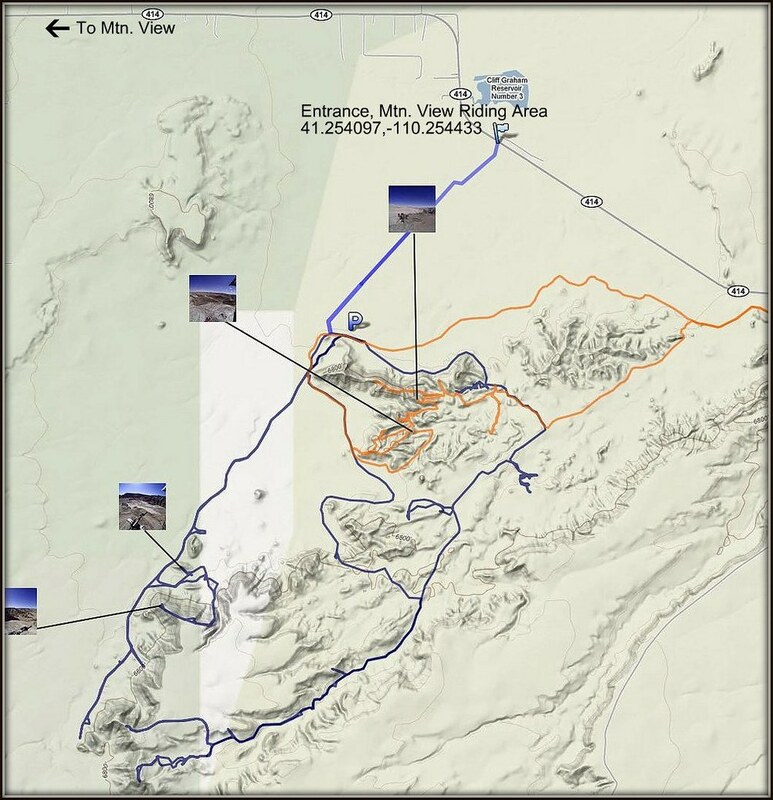 The riding area is located 4 to 5 miles East of Mtn View Wyoming. 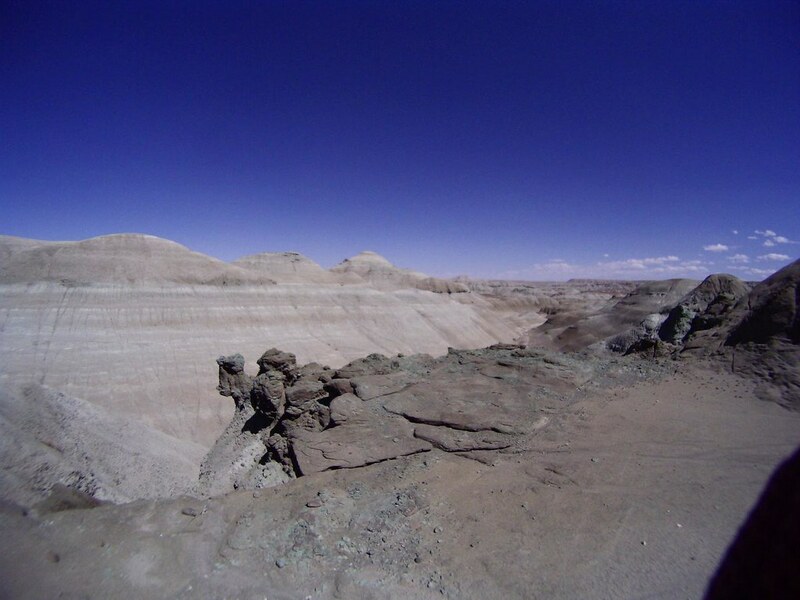 It resembles Caineville in many ways, some ways it looks like 5-mile pass, and others Knolls. The elevation here is around 7,000 feet so the temps this time of year stay really nice for the most part. When we arrived Thursday evening around 7:30, we pulled our trailer into the relatively empty and very large flat parking area below the main hill climbing area. The following day we saw one trailer leave and many more arrive for the Labor Day Holiday. There is enough room to accommodate, and lots of room out on the trails. The hill climb area can become crowded, but it offers some entertainment when hanging at camp. I decided to explore a bit into a couple different areas as shown on the map. Even though we rode more than this, it shows the basics. Click the icons for snapshots of each area. See the full size versions below the video. The turn off to this riding area is just past Mtn. View WY at 41.254097,-110.254433 on the gps as marked by the flag on the map below. It is very easy to find, but you may also click on the "Directions" link on the map below for detailed directions from your location, or click the the icon to the right and open with mobile maps on your mobile device. Check out this video summary I compiled of the trip. It starts out showing some ridge climbing and ends showing the hill climbs. It's a little long, but be patient, there's some impressive climbs towards the end! Wow, you guys have some seriously awesome terrain to play on over there, I'm jealous! That's amazing. 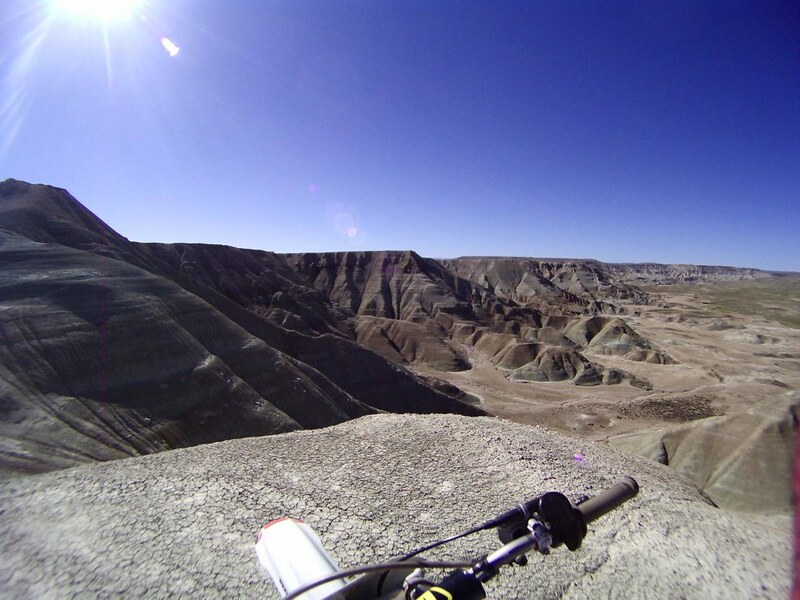 Wow that's some impressive terrain, and some amazing climbs! If this doesnt' get people to want to go out and get a bike I dont' know what will. Wow, that’s some amazing video and scenery! I presume the video camera is attached to your helmet? I actually got sweaty palms just watching the video because it seemed like one slight mistake and you are in some serious trouble and going off the hill! Some great shots on this ride! What kind of bikes are you doing this ride with? Thanks, I ride a 2001 CR250. My buddies were on a Honda and Yamaha 450 4-strokes. Wow, that was quite a trip, huh? Awesome footage too. I can only imagine how free you must have felt, taking in the scenery. Personally I think I might have trouble with that elevation, my ears are kinda pressure sensitive. Incredible pictures. I have a dirt bike and every time I have a lot of fun with it. Nice! That looks incredible! I would love to ride there! Great pictures... and the map showing where you've gone is a great addition. Excellent images and video! May I ask what brand of video camera (or cameras) you use? 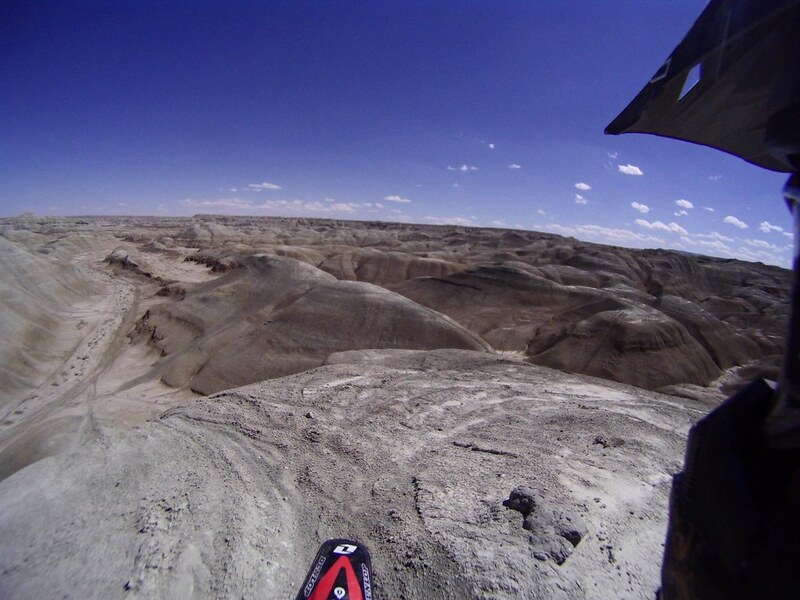 Wyoming has some incredible terrain, doesn't it? It's been a while since I've been around Mountain View. It's about 250 miles from Dubois, WY. Lookks like you guys had a great time. Thanks for the really cool post. Really beautiful pictures. I love Wyoming. Thanks man!, I'd love to find some of those spots you're talking about. I'm sure we'll be back out there and explore more. Are you talking about more stuff within the boundries of this map, or on the other side of the highway or?? I can see how you could really spend some time out there. I went South quite a ways and came to a fence, then the highway is North.., but never crossed either one. I found some really cool jumps on the last day, but didn't get any footage of those. If you're from Utah, do you need a Wyoming OHV permit to ride in Wyoming, or is there some kind of reciprocity? I'd like to get out there some time this year. Thanks for your site. I ride with my kids as well, and your information has been really useful. Gabe, we found out that you do have to have a WY sticker. They can be picked up at Maverick pretty cheap and easy. We were checked once out there, so it's prolly a good idea. Yes Utah does not honor Wyoming's ORV sticker nor does Wyoming honor Utah's ORV. To ride in both states you have to have both stickers. That's a good question, we've gone there a bunch and never worried about it or had a problem with it. I'm guessing there's something that says you're ok as long as you're registered somewhere. We are from Utah as well. Maybe someone else on here will know for sure..thanks for your interest in the site! WHAT IF I AM FROM OUT OF STATE? Non-resident users on Forest Roads and Trails must abide by the same regulations as residents users. Out of state license plates are accepted by the State of Wyoming to travel Forest Roads but not on TRAILS. 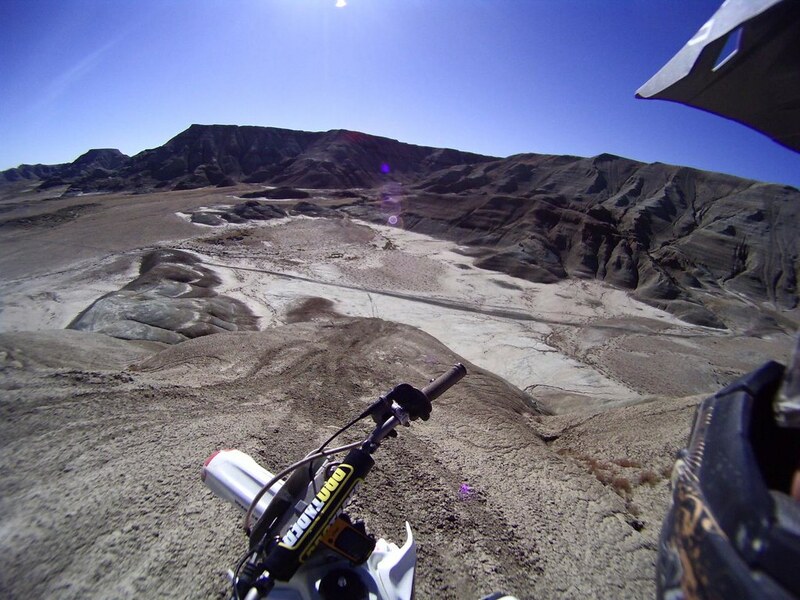 A non-resident must have a valid Wyoming State ORV permit to travel any motorized trail. If not plated, out of state ORV's must the Wyoming State ORV permit sticker to travel on enrolled FOREST ROADS. I Have lived in mountain view all of my life (19 yrs) I have been riding out there since was four and my father has been riding out there since the 70's heck we mad most of those trails. Around 7 years ago you could go almost a whole week with out seeing anyone else it was like a different planet out there it was awesome. They used to hold national hill climbs there back in the day. The last one was probably ten years ago. The reason they don't do them anymore is because the hill got to gnarly. When my dad first riding out there their was no ledge near the top of the hill it was just a straight drag all the way to the top. Because of all the riding and erosion the hills are deteriating. Its just sad i guess. All that I ask is that all you who visit please clean up your beer bottles and trash. We've pulled truck loads of trash out of there including toilets, sacs of garbage, chairs, and all sorts of stuff so please be respectful. Thanks for the comment, for sure we need to respect this area. We always try to haul out more than we take in. We've also found out that it is necessary to have a WY sticker on your bike or atv. (even though we have Utah ones too).. These can be picked up at the maverick cheap and easy. Even though some of the hills have changed I think it's still got good stuff around to ride on. I didn't know it before, too bad they can't have the events there anymore, but I hope someone out there doesn't have the idea that it needs to be closed because it's being used...like you say, we need to use it with respect.